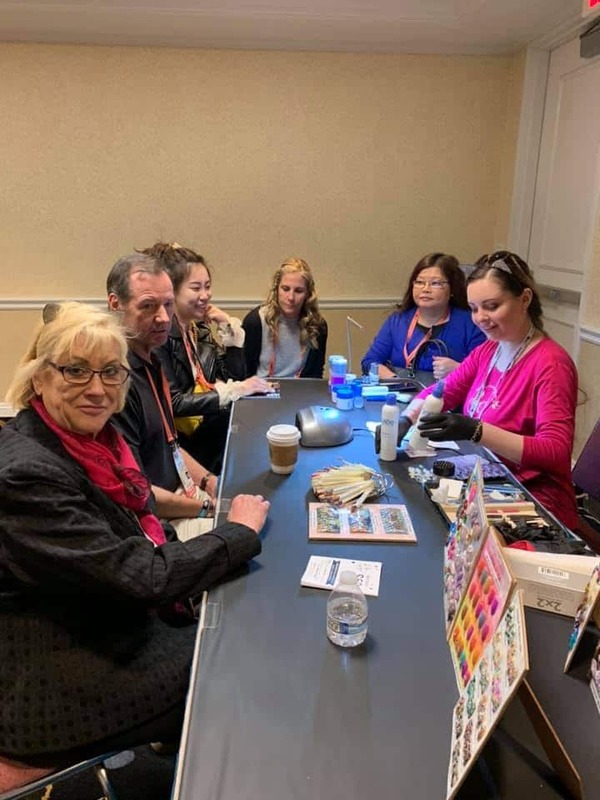 Recently LeChat’s team of executives and global educators hit the road and headed to Long Beach for the International Salon and Spa Expo, our first big cash and carry trade show of the year. 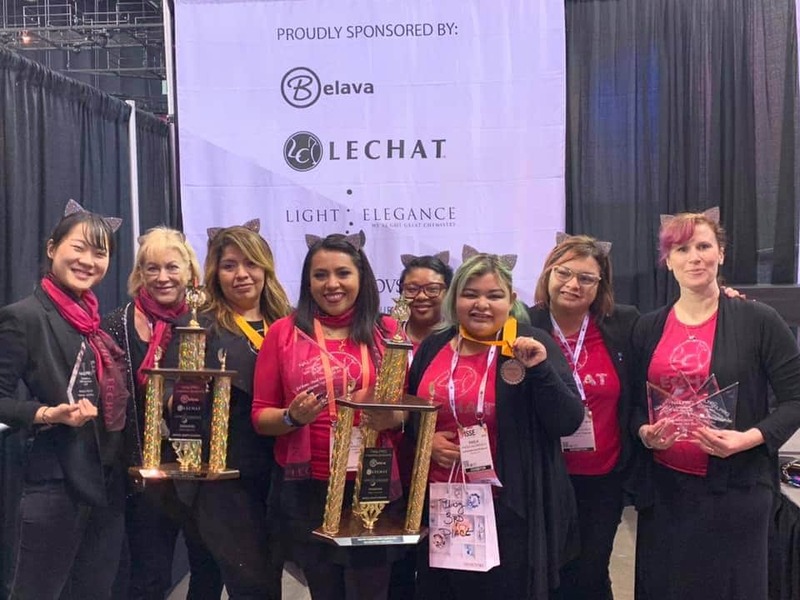 LeChat attends this show yearly and we love Long Beach, but this year is particularly special for us because for the first time, we had an official competition team! Our team took ten awards, with many of our girls competing for the first time. Please join us in congratulating our competitors for their amazing accolades and read on because we will be going live on Facebook with one of them to talk about competition strategies, tips and tricks. Competing in the NailPro Cup at the Veteran level were Guin Deadman-Littlefield, @nailsbyguin and Hemi Park, @sugarplumfairyfingers. Guin won 2nd in Gel Hand Paint, 3rd in Tip and Overlay, 3rd in Three in One, and 2nd in Salon Success. Hemi took 2nd in Fantasy, competing in this category for the first time. Clavel Gonzalez, @clavelgonzalez, also competing for the first time, competed at the novice level taking first in both Gel Flat Paint and Salon Success. Joining her at the novice level were Nuri Martinez, @fina_nail_bar , and Paola Valenzuela, @paolavalenzuela138 . Nuri took 2nd in Bling and 3rd in Salon Success. Paola placed 3rd in Bling. You can learn more about the NailPro Cup and see pictures from our winners from NailPro on their site. Although competitors Syreeta Aaron, @houseofnails206 and Wendy Valenzuela, @wendyvnails did not place in the top three, they both ranked in the top ten in their categories, contributing to the team’s points for the NailPro Cup! Congratulations to our team! 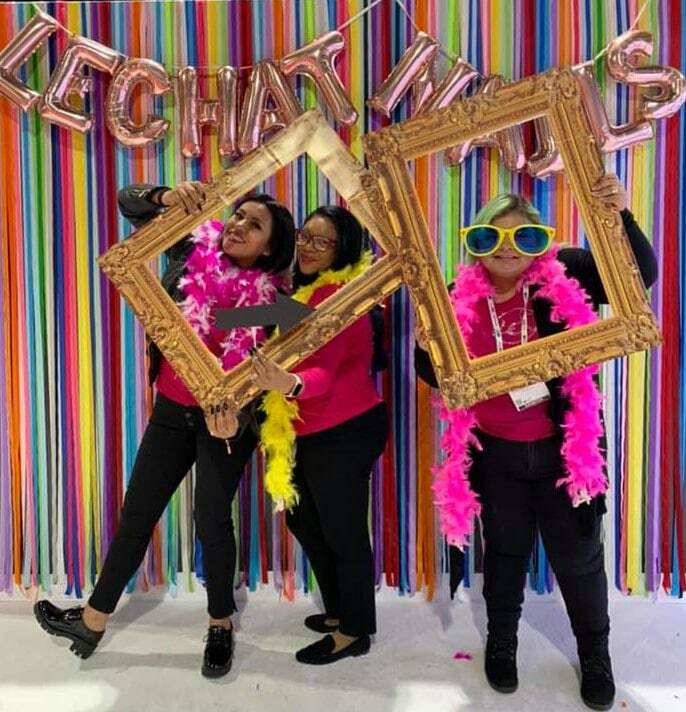 In another first for LeChat, our team of global educators taught three, intimate hands on classes in three different languages and hosted one epic workshop all designed to help nail techs and salon owners increase business and capitalize on their skills. And as always, we were there doing demos to show you all about our amazing product lines! Our booth also got an upgrade this year! With the help of our marketing and sales teams, we constructed a photo wall along the side of our booth for visitors to enjoy. Complete with props for added fun, this photo wall will be traveling with us all across the country coming to a trade show near you! Our next stop is the International Beauty Show in New York March 10-12 and we hope to see you there! Be sure to follow us on Facebook and Instagram to keep up with the latest #LeChatNails News, and subscribe to our YouTube to take advantage of our free educational content!